Marcia Giordano Hansen has been practicing law for almost 20 years. 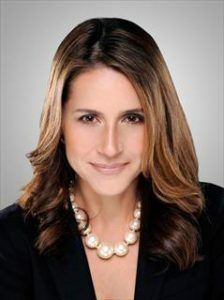 During this time, she has worked for the government at the Miami Dade Public Defender’s office representing indigent clients accused for state criminal offense; for an insurance defense firm wherein she represented doctors sued for medical malpractice and entities sued for negligence; and for a private white collar criminal defense firm practicing white collar crime defending individuals accused of social security fraud, Medicare fraud, drug trafficking and other federal crimes. Her wide range of knowledge in these different areas of law, coupled with the teachings of some of the most well respected legal minds in the country gives her a unique skill set which has benefited all of her clients resulting in victory and success in each case she has handled. Mrs. Hansen, in her own practice, has handled criminal defense cases, personal injury cases and real estate disputes. She speaks Spanish, French and is proficient in Italian which enables her to represent clients from all over the world. She is dedicated to the growth and success of HLF Real Estate Law and prides herself in giving VIP treatment to each and every client. Marcia lives in Coral Gables with her husband and daughter. She is an avid sports fan, an animal lover and political junkie. She is also a supporter and member of the Board of Executive Relations for the Special Olympics of Miami, an organization dedicated to the well being of children and adults with disabilities.